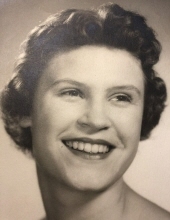 Helen “Lynn” Townes Smith Mahaffey, 79, passed away in peace on Wednesday, January 30, 2019 in the presence of her family in New Braunfels, Texas, after battling a long illness as result of breast cancer. She was born on September 18, 1939 in Houston, Texas, daughter of Andrew Jephthah Kincannon Smith and his wife Helen Townes Smith. Lynn graduated from Lamar High School, Class of 1957, and attended the University of Texas in Austin, Texas. Lynn was preceded in death by her parents. She is survived by her husband of 57 years, J. Michael Mahaffey; their three sons, Benton Ray Mahaffey (Jessica), Townes Mahaffey (Christa), John Michael Mahaffey, Jr. (Bridget); nine grandchildren, Benton Ray Mahaffey, Jr., Bolin Edward Mahaffey, Campbell Lott Mahaffey, John Charles Townes Mahaffey, Helen Mattson “Mattie” Mahaffey, John Michael Mahaffey, III, Alexandra “Ali” Grace Mahaffey, Matthew Anthony Cazalas, and Michael Dennis Cazalas; and her two brothers, Andrew Smith (Mary), and Markle Smith (Diane). Lynn will be dearly missed by her family, extended relatives, many friends and colleagues. A lifelong Longhorn and legacy member of Pi Beta Phi Sorority, it was at the University of Texas where she met and later married Michael, her beloved husband. Lynn and Michael lived in Corpus Christi, Texas for 40 years, prior to moving to New Braunfels in 2002. Family always came first for Lynn, whose greatest joy was being a dedicated wife, mother, and community volunteer. She loved cooking and hosting large gatherings for her family and friends, an interest for entertaining shared with dear friends that led to the formation of Fanfares, a former catering business. Lynn put her passion for public service to work for the good of others wherever she went. In Corpus Christi, she served a term as President of the Junior League of Corpus Christi shaping the development of impactful community programs and projects, she was a Bayfest General Chairman, and member of the Church of the Good Shepherd. When Corpus Christi was designated the “Official City of the Texas State Quincentenary Celebration,” Lynn led the events in 1992 honoring the 500th anniversary of Columbus’ voyage. After her children grew up, Lynn dedicated herself to social services for the elderly working at Lutheran Social Services and Catholic Charities in Corpus Christi, and as the Funding Development coordinator for the Comal County Senior Citizens’ Foundation in New Braunfels, where she worked for 13 years. Lynn had a lifetime love for her adopted city, New Braunfels, most special to her being the Comal River, where the family spent many summers and July 4th celebrations with participation in the parade. She and Michael put their master gardener talents to work supporting the area’s beautification efforts, and enjoyed the friendship of their church community as members of the St. Joseph Anglican Church. A memorial service will be held at 10 a.m. on Saturday, February 9, at St. Joseph’s Anglican Church, 446 N. Seguin Avenue, New Braunfels, Texas 78130. A separate memorial service will be held for friends of the family in Corpus Christi at 10:30 a.m. on Saturday, February 16, at the Church of the Good Shepherd, 700 S. Upper Broadway, Corpus Christi, Texas, 78401. In lieu of flowers, donations may be made in memory of Helen Mahaffey to the Comal County Senior Citizens’ Foundation at www.nbsenior.org/donate-index-impact or 655 Landa Street, New Braunfels, Texas 78130, or to the charity of your choice. To send flowers or a remembrance gift to the family of Helen Mahaffey, please visit our Tribute Store. "Email Address" would like to share the life celebration of Helen Mahaffey. Click on the "link" to go to share a favorite memory or leave a condolence message for the family.